House Martins make beautiful nests of clay and dried mud. They glue them against the eaves. A small hole is the entrance. The House Martin has a shorter tail than the Barn Swallow. It also has a distinctive white rump. 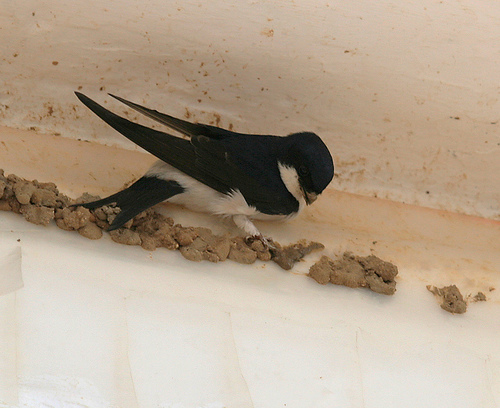 The House Martin has a black body and a white rump. 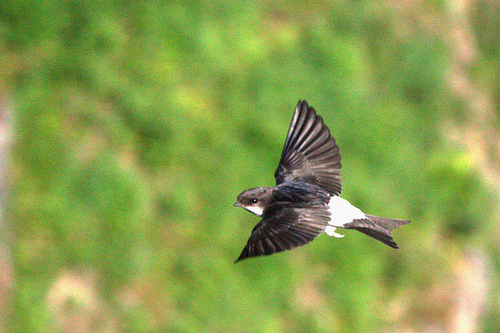 The Sand Martin is brown.